Home Archive This Is Wrestling! Moments before the biggest event in company history, Chikara Pro’s first PPV, the mood in the arena is surprisingly calm. Just a few wrestlers joking and running through some last minute spots and minimal bustle as the merchandise tables work on their aesthetics. Essentially the men and women in front of me have secret identities, tonight they get to play heroes and villains to the people watching. This is an exciting prospect to me because when I go to work I get to be an environmental scientist which is exciting to no one( although I never get kicked in the face which I like ). The crowd is allowed to enter and the arena quickly transforms. Chikara fans are nothing if not passionate, I see an array of purchased and homemade shirts lauding their love and hate for the entertainers. The seats are filling fast with visibly anxious fans but that’s not all the commotion there are lights and music now, the interviews for the home audience are starting and Miles from 215 Ink is in full salesmen mode. Jigsaw and El Generico, the first two warriors, enter the ring to raucous applause for an early match to sate the appetite of the hungry fans, and as expected they blow the roof off the place. A young Mike Quackenbush’s first introduction to professional wrestling was Wrestlemania VI. The main event was one of the biggest in WWF history at the time. Hulk Hogan taking on the rising star The Ultimate Warrior in a rare match up of two babyface (good guy) wrestlers. Even at a young age Mike was able ascertain one thing, that these huge musclebound meatheads yelling and screaming at each other was absolutely ridiculous, he was unimpressed. It wasn’t until a few years later when he switched on WCW Saturday Night and saw Japanese star Jushin Thunder Lyger take on “Flyin’” Brian Pillman that things started to click. Here were two men similar in height to himself and with realistic athletic physiques, not hulking behemoths one or two steps away from being comic book drawings. Could it be that a guy his size could make it in the world of professional wrestling? The dream of one day achieving a match with the quality he saw on TBS that Saturday night would plunge him headfirst into the brutal and unforgiving world of the independent wrestling scene. His timing was good, he began his journey as wrestling was hitting its second big boom as iconic wrestling figures like “Stone Cold” Steve Austin and The Rock rose to prominence. As a result Mike was able to travel and train under a lot of experienced journeymen wrestlers who possessed what few wrestlers have today, international exposure to many different wrestling styles from around the world. While Mike’s decidedly normal size and physique would mean a job in WWE would not necessarily be in his future, his amassed experience, wrestling skill and knowledge would take him in a different direction and on to whole different calling. As the event starts in earnest Gavin Loudspeaker, Chikara’s announcer, runs to the ring and begins to get the crowd ready. It doesn’t take much, they know what’s coming and they are ready for it. The first match is a high flying brutal tag match between The Colony (Fire And and Soldier Ant) against The Young Bucks. It was non-stop, action packed, thrilling match that would not be easy to follow and for a second I doubted the decision to start with such a bang (I’m wrong quite often). Then Sara Del Rey was announced and the attendees exploded in cheers. Not since Karen O of the Yeah Yeah Yeah’s have I seen one woman command a crowd like Sara Del Rey did by quickly dispatching Jacob Hammermeier. To stop the Chikara faithful from cardiac arrest two fan favorites, Ophidian and Amasis collectively known as the Osirian Portal entered the ring for a sad announcement. Amasis had been out of action for some time and had returned to announce both to the world and his tag team chum that he had to retire. The sadness would not last long as Ophidian would turn on his former friend, spitting a blinding mist into his face and blindsiding him with a brutal attack that culminated in Ophidian stealing the mask of Amasis, a deeply dishonorable act. With this heinous action everyone was worked into a lather once more. The final match before intermission was the last member of The Colony Green Ant who had the task of tyring not to die when the humongous Tursas fell on him over and over again. The sheer defiance of physics involved in this match had Newton turning in his grave and shaking a skeletal fist at the heavens furious at the green insect that somehow ignored the vikings gravitational pull to lift him into the air. In 2002 Mike Quackenbush would take the wealth of experience he gained in his time on the indie wrestling scene and apply it to teaching by opening the Wrestle Factory. Five months later Chikara was started, named from the Japanese kanji symbol meaning “strength” and being a way to showcase and give experience to the Wrestle Factory students. Calling the company an “experiement”, elements would be incorporated from Japanese “puroresu” and Mexican “Lucha Libre” to develop a style unlike anything else presented in the United States. The wrestlers would have vibrant and distinctive characters and gimmick and many would wear masks in the tradition in Mexico, immediately giving the in-ring action a unique look. Mike also went about honing a hybrid wrestling style that encompassed American, Mexican and Japanese influences which would allow students both big and small to look credible in a Chikara ring. 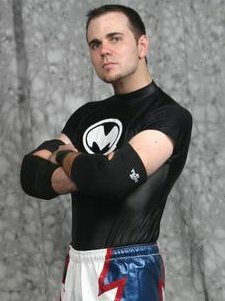 Chikara would not have a traditional “world champion” until late 2011, instead boasting the “Young Lions Cup” open to any wrestler 25 or younger and perfectly suited to showcase the Wrestle Factory’s progressing students. The wacky and varied cast of characters, clearly defined as good or bad, were a refreshing change after the “shades of grey” era of wrestling where the likes of Stone Cold Steve Austin and The Rock were the good guys but could be real dicks at the same time. 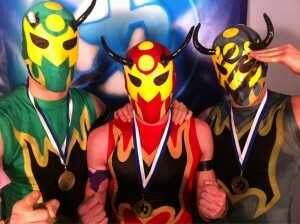 Chikara distinguished itself from the other independent wrestling groups and quickly developed a dedicated small following amongst wrestling fans in the know. The second half kicked off with my personal favorite Chikara wrestler Colt Cabana facing off against Archibald Peck. The juxtaposition of comedy and violence in this match was perfect, with both acting and wrestling skills on full display. The next match featured Icarus who is quite possibly the best heel (bad guy) around, my co-author Martin thinks he may have gotten his back tattoo just to get more heat from the crowd. His opponent was Gregory Iron who suffers from Bells Palsy which greatly limits the use of his right hand. He is currently on a mission to get into the WWE Royal Rumble, please help him out by following this Link . Watching Iron wrestle as well as he did made me feel very lazy though unfortunately he lost due to some dastardly heel tactics from Icarus. Next was the co-main event which had real world consequences (sort of). It was a tag match pitting Ultra mantis Black and Hallowicked of the spectral envoy (Which is a super dope name) Vs. Ares and Tim Donst of theBDK (I’m thankful for the acronym because I will make no attempt to actually spell the whole thing). If Mantis was pinned he had to lose his mask, If Donst was pinned he had to shave his head and if Aries was pinned he had to give up the Eye of Tyr (which is a sweet crystal that lets you take control of someone else, I would need to explain a ton of back story for you to understand, so please just take that at face value). The final match of the night was the most important match in the company’s history. Chikara’s first Grand Master would be crowned or belted as it were. The match was between mat technician and high flyer Mike Quakenbush and unparalleled brawler Eddie Kingston two of the most talented wrestlers going today. During the match nearly the entire company flooded to ringside to cheer on their ring mates. At the end of the night Eddie Kingston stood victorious and not a single person was left disappointed. Chikara did it again. Chikara knows that its audience is not only looking for something different in professional wrestling, they are also looking to feel like a part of something. Chikara does this like no other company, the wrestlers mingle with the fans before and after the shows, faces are recalled and pleasantries exchanged. Fan participation was taken to a whole new level with the, now-annual, Fan Conclaves that take place during their King of Trios weekends, one of their most popular events of the year. In years past fans have been able to take pictures with their favorites and even play video games like Rock Band and Fire Pro Wrestling with them. The good will this creates has helped Chikara become a grassroots marketing success by generating good will through buzz and genuine enthusiasm from a dedicated fan base. The Chikara Wrestle Factory has seen its alumni featured in other wrestling organizations such as Ring of Honor and even further afield to Mexico and Japan. At the Asylum Arena in South Philadelphia where a lot of Chikara’s major shows take place, they have broken their attendance record seemingly every time they run a show there; bringing in 900 for their High Noon event with thousands more watching online on iPPV. A three day event in December known as Joshimania will showcase many great women wrestlers from Japan and once again bringing an experience that Chikara fans would not be able to find anywhere else in North America. The experiment continues. 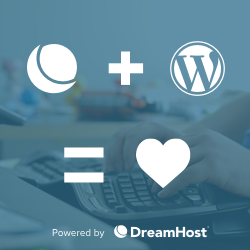 As someone who is trying to do something independently with this website and podcast it is inspiring to see a company succeed who’s main assets are talent and determination. I had a few minutes backstage before and after this show and was able to briefly speak with a few of the performers, they could not have been nicer people. They deserve all the success that is coming their way.